"I wish I were a bird!" even though it was so very red. Needs more Victoreem. Or some melon. God exist, and he's japanese. Don't forget the MASHIMAM SPEEDO! that echoes whenever this chariot passes by. So, miru ga ii....WAGA CHIIKARA!!!! i believe this tag is wrong "wakamoto norio" , isnt it supposed to be Emperor Wakamoto? woah, after looking at the tags, I noticed the chariot had engraved faces of famous manga characters. You mean anime characters. Who he voiced. Why isn't this in the Louvre? This is the chariot God uses to commute. Emperor Norio I of Japan. Emperor Norio I of Earth. Emperor Norio I of Mankind. Looked like Nick in the thumbnail. 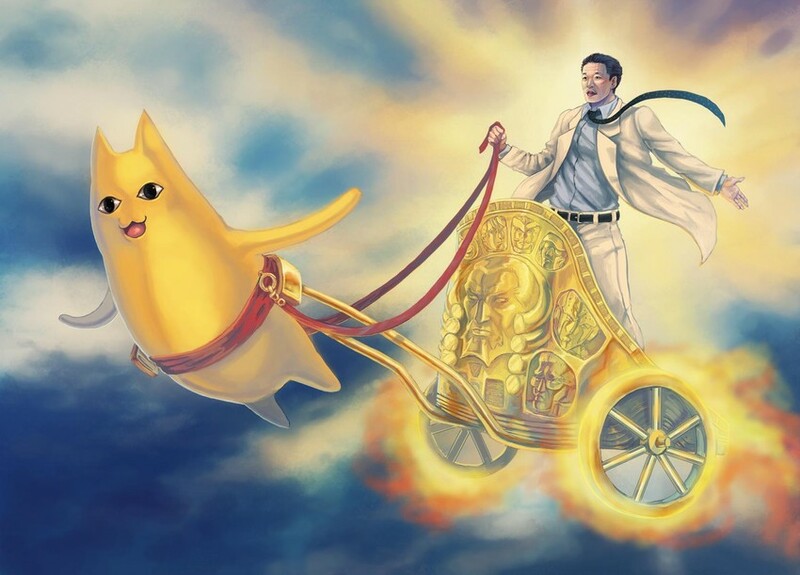 Wouldn't it be epic if WH40k's GEoM is somehow voiced by Wakamoto? No wonder 40k is so full of badasses. Wow, I didn't know Cell was voiced by Norio. Just looking at them, I can't believe Cell, Coach and Chiyo's dad were voiced by the same guy. By Jupiter This Is Magnificent.